#I received product at no charge from Crowdtap in exchange for my honest review. I just tried the new Viva Vantage paper towels and they beat out my old brand. I have been brand loyal for decades, but Viva Vantage is just better! They are thicker and more absorbent, allowing me to clean up messes faster. They are also super stretchy because of the diamond weave pattern. Quality is number one for me in a paper towel. I use them often for cleaning up messes, and Viva Vantage is a better quality than my old brand, and at a lower price! 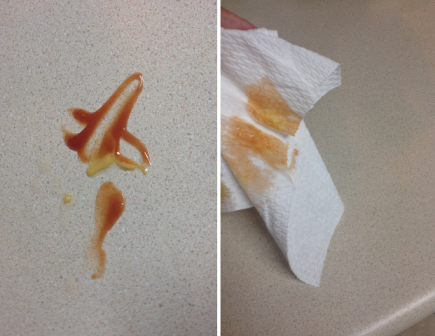 Just a single swipe to clean up all the ketchup and mustard left on the counter after lunch. I'm breaking up with my old paper towels for Viva Vantage! 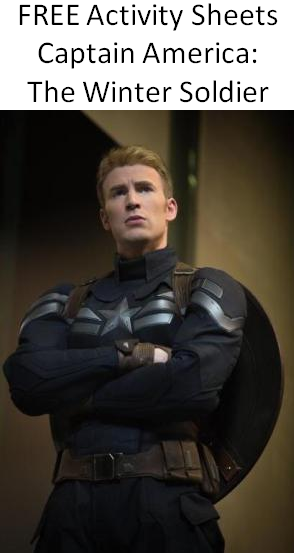 Captain America: The Winter Soldier starts this Friday, April 4, and you must go see it! Although it starts as a quiet jog in the park, just a few minutes in and "BAM!" the action begins and you'll be glued to the screen for the rest of the movie. Here's a hint too - don't leave until AFTER the credits! Print your Free Activity Sheets below! Just click on the links and save to your computer to print out. I love blueberries, so I was thrilled to try Wyman's of Maine Blueberries! They are delicious, so I created an easy recipe for you. Wild Blueberries are one of Mother Nature's leading antioxidant superfruits. 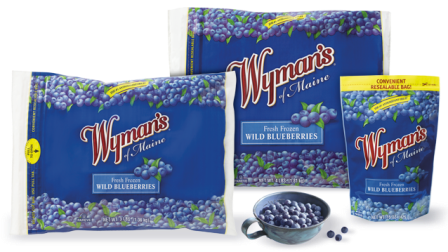 Wyman's makes it easy to enjoy the taste and healthy goodness of these special little berries year-round, in convenient resealable bags. Frozen Wild Blueberries are perfect in cereal, smoothies, muffins, salads, desserts and more, with no thawing required! Available in a 4lb bag, a 3lb bag, and a 15oz bag. Visit www.wymans.com for more information! Preheat oven to 350 degrees F. Pour 4 cups blueberries in a casserole dish. Add 1/2 cup blueberry juice and 1 cup sugar and stir well. Pour white cake mix in an even layer over the blueberries. Cut 1 stick of butter into 8 pieces and place butter pieces across top of cake mix. Bake for 50 minutes in oven at 350 degrees F. Cool slightly. Serve warm or cold. Refrigerate leftovers. Sometimes when I'm sad or feeling under the weather, I just want my mom to come and make some chicken soup for me. Spoonful of Comfort has cornered the market on care packages featuring their old-fashioned handmade chicken soup! I recently received a Spoonful of Comfort care package and I was delighted with it. It shipped in a cute, decorative shipping box that contained a beautiful Soup Ladle, a half-gallon of their signature Chicken Soup, six huge oatmeal raisin cookies, and six made-from-scratch rolls. Also included was a handwritten note. Everything in my care package was fresh and tasted absolutely delicious. I only managed to eat one oatmeal raisin cookie before my husband discovered I had his favorite cookies in the house and devoured the rest of them. Their chicken soup is a recipe that even my grandmother would approve of, with big chunks of chicken, chicken stock, noodles, carrots, celery, and onions, flavored with sage, parsley and sea salt. Although all my delicious goodies have now been eaten, we'll be reusing the soup ladle and the soup jar over and over. Spoonful of Comfort also offers other available items in their care packages, like tea, aprons, cozy socks, chocolate chip cookies, and blankets. Check out their entire line of products for these occasions - Thinking of You, Get Well, Sympathy, plus New Baby and College Students. Plus, a portion of sales supports cancer research and other charitable causes! Visit www.spoonfulofcomfort.com to see their fabulous selection and don't forget to order some delicious soup for yourself. 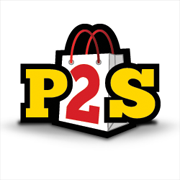 They offer a wide range of prices to fit any budget. You can also connect with Spoonful of Comfort on Facebook and Twitter. Who will YOU delight and comfort with a care package of yummy chicken soup? Now that spring has officially arrived, my feet are more than ready to ditch boots and socks for flats and flip-flops. The spring collection at Lands' End features these beautiful Bianca Bow Ballet Shoes in Caspian Blue Camo and I think they are perfect for my upcoming cruise. These darling Lands' End ballet shoes are very lightweight and breathable, plus they have a slip-resistant rubber sole. The insole is contoured and cushioned, with just enough of an arch to keep my feet comfortable. The shoes are very flexible, which makes walking in them easy and enjoyable. As far as fashion goes, these are the cutest spring shoes in my closet! The colors of the Caspian Blue Camo are stunning. The simple lines of the shoe shape and the tipped bow give them a sweet, delicate look. I've found these shoes to be comfortable and sturdy for walking, shopping, and sightseeing. I am very happy with them! Check out the Lands' End spring collection of shoes at www.landsend.com. 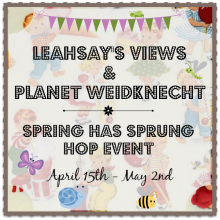 They've also got great spring fashions for women, men, and children. Don't miss their amazing swimwear department! Be sure to follow them on Facebook, Twitter, and Pinterest too.